If you’ve been enjoying the company of one or more of these adorable pets for quite some time now, you probably know the basic ingredients of the best guinea pig food needed for their healthy diet. If you’re a new cavy parent, you've probably provided your piggy with the best guinea pig cage so now we recommend that you read our best guinea pig food recommendations and useful dietary information. Guinea pigs need a healthy balance of hay, pellets or pre-mixed food and constant supply of fresh water. Although keeping their diet healthy isn’t difficult, keeping it balanced to prevent obesity needs to be kept in mind. What's on the menu for a healthy guinea pig? When it comes to guinea pigs digestion and nutrition requirements, numerous studies have shown that the large indigestible fiber in hay is a lot more useful than small, pulverized fiber in pellets. High-fiber diet reduces hair accumulation in the gut. In addition, it prevents enteritis, the inflammation of the intestine. Enteritis threatens the small intestine especially and is usually accompanied by diarrhea. Sick cavy is a sad sight and will cause worries for you and discomfort for the poor little cavy. 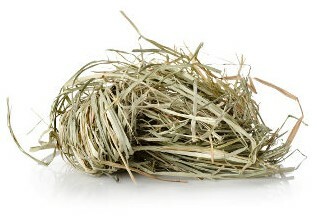 Most authorities including RSPCA agree that good quality hay must constitute the main portion of guinea pigs’ diet. Two most common hays, Alfalfa and Timothy, can be stored for a few months. Other hays often recommended for adult cavies include Pasture, Wheaten, Oaten, Paddock, Meadow, and Ryegrass. It helps if they are packaged fresh but thoroughly dried and you need to keep them in the proper conditions. At home, you must keep the hay opened so it can breathe from the day you buy it. You need to store it in a dry and well-ventilated container but and not in plastic. A simple cardboard or wooden box is ideal for hay storage. If you buy a bale, the hay will stay fresh for longer periods if you break up the bale to as little chunks as possible. Although hay is by far the most important food in cavies’ diet, high-quality pellets or dry food is super convenient and welcome addition. Make sure you include different fresh vegetables and not just offer your piggy pellets. Readily available and convenient part of a healthy cavy diet, pellets are better than food mixes because mixes sometimes include less desirable ingredients. You can get Alfalfa hay-based pellets which are ideal for young and pregnant guinea pigs. This is because of the high content of calcium. To prevent bladder stones in adult cavies caused by excess calcium, when your piggy is about a year you should switch to Timothy hay based pellets. In addition to a constant supply of fresh grass hay, pellets add vitamins and nutrients which your cavy cannot get from hay alone. You should go for pellets which are supplemented with Vitamin C.
A mixture of pellets, dyed colorful pieces (flakes or pellets), nuts, seeds, and fruit bits often look nice to pet parents, taste great to cavies, but are not the best option, especially because of the coloring and additives present. Make sure you study the ingredients label. You do not want pellets containing BHA, BHT, and ethoxyquin. These can cause health problems ranging from dry skin, allergic reactions, and dental disease, to harmful effects on cavies’ liver and kidneys. The safest option is to buy Timothy hay-based pellets for adult guinea pigs without added nuts, seeds, crunchy bits, or dried fruits. Alfalfa-based pellets can cause weight gain, kidney and bladder stones, or calcium crystals in adult guinea pigs’ urine. It’s absolutely worth it for cavies’ health sake to add a buck or two and get the best quality Vitamin C rich pellets brands. Reputable manufacturers have been long proven as regards safe, nutritive and healthy guinea pig food. Oxbow Essentials Cavy Cuisine is made from high-quality, all natural hay and combines essential fiber and stabilized nutrients. The essential nutritive are Timothy grass meal, soybean hulls, wheat middlings, soybean meal and cane molasses. This food has been specifically designed to meet the particular nutritional needs of guinea pigs over six months. It also contains valuable supplements such as Vitamin C, Vitamin E, and Vitamin B12 Pantothenate. In addition, the cavies will get just the right amount of Zinc Proteinate, Zinc Sulfate, Ferrous Sulfate, Niacin, Copper Sulfate, Selenium Yeast, Vitamin A, Folic Acid, D-Calcium, Riboflavin Supplement, Manganese Proteinate, Magnesium Sulfate, and a few more minerals. Adult guinea pigs have different nutritional needs than young cavies. They still need a diet high in fiber to keep their digestive systems working properly and Vitamin C, but they need lower levels of calcium, protein, and calories than growing Guineas require. Oxbow Cavy Cuisine doesn’t contain Alfalfa which is fatty and rich and leads to weight gain and health problems in older guinea pigs. Cavy Cuisine also does not use chemical preservatives, artificial colorings, animal fat, or corn. It has an ideally balanced formula for adult cavies. It contains stabilized Vitamin C and an optimal calcium-to-phosphorous ratio for overall health. You should give your guinea pig 1/8 cup pellets a day in addition to unlimited grass hay. Although Cavy Cuisine is an excellent complete feed for guinea pigs, unlimited access to fresh grass hay should always be provided. Vitakraft Guinea Pig Food is another quality product your guinea pig will munch happily. It includes a healthy mixture of vegetables, fruits, and specially fortified pellets. 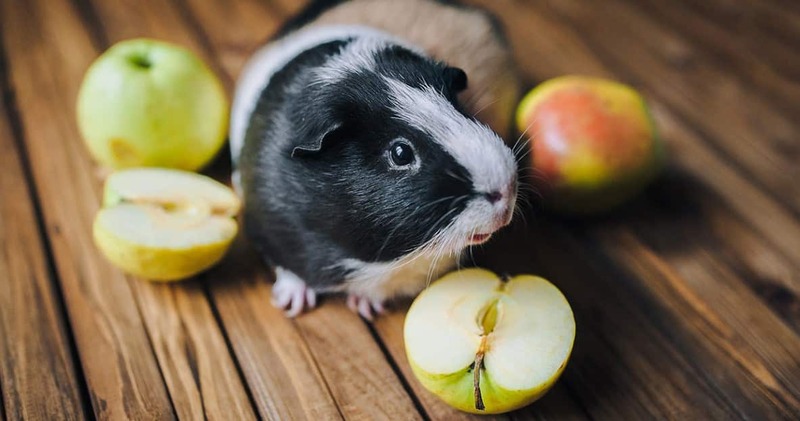 Apart from the main nutrients, it includes vitamin C which supports your cavy’s overall health and well being while also providing a balanced diet. Simply put, this is guinea pig food with ingredients your pet would forage for in the wild. It comes fortified with DHA Omega 3's to support brain health, heart function, vision, a shiny coat and healthy skin. Antioxidants, complex minerals, probiotics, natural oils, omega fatty acids and flaxseed on top of high-fiber Timothy formula complement this food with the highest bioavailability of nutrients available. Vitakraft Guinea Pig Food also contains a yummy mix of flaked peas, flaked soybeans, ground corn, flaked corn, wheat middlings, puffed wheat, ground wheat, chopped timothy grass hay, cane molasses and dried plain beet pulp. In addition, it also has yucca schidigera extract, fructooligosaccharide, algae meal, ground carrots, vitamin D3 supplement, vitamin E Supplement, niacin supplement, vitamin B12 supplement, riboflavin supplement and D-Calcium Pantothenate. Serve your piggy Vitakraft Guinea Pig Food daily along with plenty of Timothy hay. Add some fresh green peppers, carrots, and green leaf lettuce and watch your pet live healthy and happy life. Kaytee Fiesta Guinea Pig Food is a nutritionally fortified gourmet diet. It consists of a premium blend of fruits, vegetables, seeds, and grains. Apart from offering maximum variety and nutrition, Fiesta contains prebiotics and probiotics to support digestive health. Formulated with your lovely cavy’s healthy diet in mind, Fiesta from Kaytee features a mix of fruits and vegetables for added nutrition value. They come in shapes and textures which support dental health through natural chewing activity. When introducing Kaytee Fiesta after your cavy got used to another food, you should start with a mixture of previous food and Fiesta. Ideally, gradually increase the amount of new food over a 7 to 10 day period. 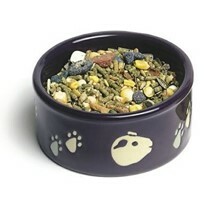 This will prevent digestive upset as well as allow your pet to adjust to the new food. Before serving Fiesta, throw away any uneaten portion and clean food dish before next feeding. Keep fresh water available at all times as your piggy will be thirsty after a tasty meal. Fiesta is Alfalfa hay based so it’s ideal for young and pregnant guinea pigs because of the high content of calcium. As this can cause bladder stones in adult cavies, you should switch to a Timothy hay based food when your piggy is about 12 months old. Apart from sun-cured Alfalfa hay, Fiesta also contains ground corn, dehulled soybean meal, ground oats, oats, wheat middlings, ground wheat, wheat, corn, hulled sunflower seed, oat groats, green split peas, barley, dehydrated carrots, shelled peanuts, soybean hulls, soybean oil, dried bananas, raisins, pumpkin seed and safflower seed. In addition and to make it a real cavy feast, this food also includes phosphate, dried papaya, dried cane molasses, ground rice, dehydrated sweet potatoes, ground flaxseed (source of omega-3), dehydrated apples, wheat germ meal, as well as vitamin A, C and B12 supplements. Bon appétit, little piggies! F.M. Brown's Tropical Carnival Gourmet Guinea Pig Food contains a well-balanced blend of chunky, crunchy and delicious fruits, veggies, nuts, seeds, and grains. Apart from Alfalfa and Timothy hay, your loving piggy will get a steady supply of wheat middlings, ground oats, soybean meal, ground barley, oat groats, corn, papaya, kibbled corn, wheat, green peas, raisins, banana, potatoes, peanuts, pumpkin seed, lentils, pineapple, apples and carrots. This premium gourmet food is also vitamin-fortified as well as nutritious. Specially blended for the daily dietary needs of guinea pigs, the Alfalfa and Timothy hay pellets are formulated for optimum digestion of your furry pets. The extra Vitamin C and anti-oxidants are mixed in to support the immune system, as well as beneficial bacteria for digestive support of your cavy. The nutritionally enhanced Brown's Tropical Carnival Gourmet Guinea Pig Food will keep pets happy and healthy. Make sure you provide fresh water and constant supply of hay and when introducing Tropical Carnival, do it gradually and don’t let your cavy have too much of it. Being super-tasty, this food has to be rationed to prevent overeating and obesity. Kaytee Timothy Hay is a natural product with no preservatives or additives. The sun-cured timothy hay is naturally low in calcium and phosphorous. 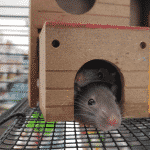 This is an important feature for adult guinea pigs because it decreases the likelihood or urinary tract problems. The hay harvested from the high elevations of the Columbian River basin, hand selected to endure the proper ratio of leaf to stem, and sheltered before packaging to preserve its color and nutrients. Timothy hay is an excellent source of fiber and has appropriate levels of protein for adult piggies and other small animals. Since guinea pigs need a constant supply of hay, all you need to make sure is that you never run out of it. Kaytee Timothy Hay is well packed and easy to get out of the bag without making a mess. Once it’s out of the bag, it’s not that easy to separate, but that’s often the case with most hay bales. What’s important is that Kaytee Timothy Hay is the perfect complement to a balanced diet of your loving cavies. It contains no artificial colors or preservatives so you can feel good about feeding it to your pet. Vitakraft Vita Smart Adult Guinea Pig Food is another high-quality food for guinea pigs. It’s a premium range specially designed to support overall health and well being of your furry friends. It contains a well-rounded mix of feeding ingredients to support a healthy growth. In addition, it will optimize health and wellness of your piggy during middle age and maturity. Apart from Timothy hay, it contains dehydrated alfalfa meal, soybean hulls, wheat middlings, dehulled soybean meal, ground corn, ground steam-rolled oat groats, oats, carob pods and steam-rolled peas. On top of this, the mix includes vegetable oil, puffed wheat, heat-processed soybean flakes, flaked corn, dehydrated carrots, dehydrated banana, ground beets, salt, ground wheat and dried mountain ash berries. Sounds good enough even for the pickiest cavies! As for the supplements, you get vitamin C, A, E and D3 as well as essential minerals necessary for healthy metabolism. Furthermore, Omega-3 and omega-6 fatty acids included will help to maintain healthy skin and coat, and DHA omega-3 will assist in healthy brain development as well as heart and vision. All features and benefits consider, your will piggies enjoy tasty meals and you will need to see your vet way less than you used to. Wild Harvest Advanced Nutrition Diet for Guinea Pigs provides a nutritive mix your cavy needs for developing and maintaining good health. The Wild Harvest developed a unique formula containing an array of high fiber pellets and a delicious mix of healthy fruits and vegetable to provide your pet with a well-rounded diet. This food provides the important protein, vitamins, minerals and the fat needed for a strong and healthy piggy. As a complement to a constant hay supply and plenty of fresh water, Advanced Nutrition Diet will make your piggy hop and pop happily. 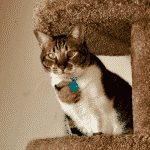 Introduce the new food gradually and stay within healthy portions in order not to let your pets overeat and get obese. Regular exercise is another element for a healthy diet to kick in. As for the packaging, not all of you will like the plastic containers as they sometimes tend not to close that easily. Some will find the packaging less messy than bags, though. Fortified with antioxidant nutrients, Fruit Amp provides your Guinea Pig with added nutrition to help support and maintain overall good health. Let your cavies decide for themselves. After all, they’ll be the ones munching the food!